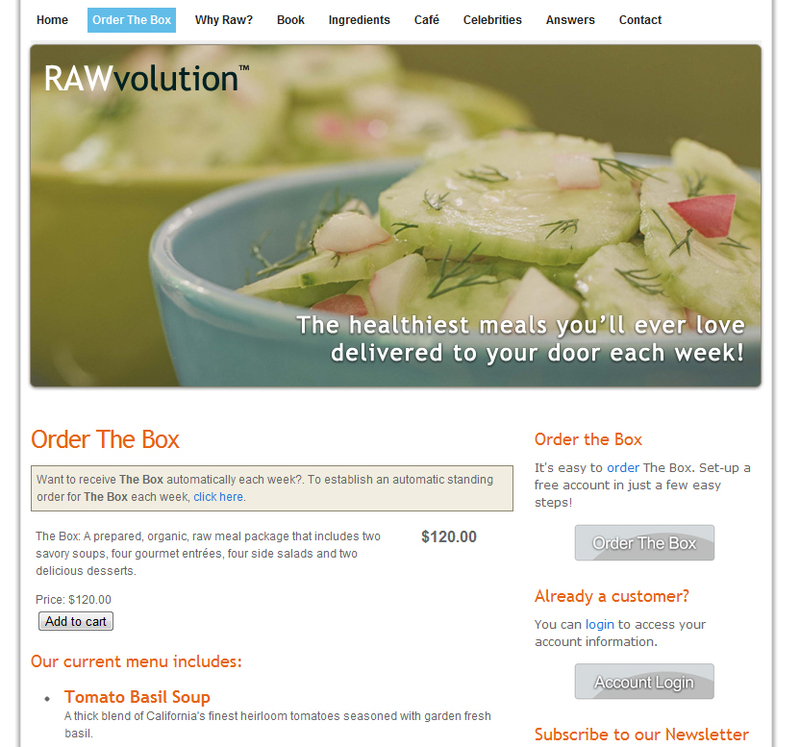 Each week, RAWvolution creates a box of prepared, organic, low-calorie raw foods that includes two savory soups, four gourmet entres, four side dishes and two delicious desserts. We built out and managed the website subscription process, and implemented the sites CMS using Drupal. Created automated recurring reminders and billing for all customers. Integrated Newsletter subscriptions as part of the membership and conversion process.